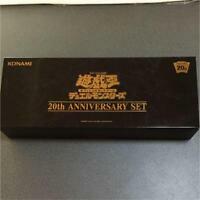 New Konami YuGiOh OCG THE RARITY COLLECTION Booster Box 20th Anniv. samuraisoul142*142* has no other items for sale. 82018 YuGiOh OCG THE RARITY COLLECTION Booster Box 20th Anniv. Japan new .